Colombian coffee, brought to you by middlemen. Way back in the post Division of Decision I suggested that we don’t always know what me mean by the words that we use. When we say “farmer” who are we actually talking about? The romantic, idyllic image of a lone man toiling in harmony with the land that we associate with the word is essentially a fantasy, and the fantasy can’t substituted by a single un-romantic true-life counterpart. Rather than there in actuality being a single “real farmer,” the reality is far more varied. When we say “farmer” it encompasses a set of people who do different things. We mean the person who owns land, makes decisions about what to do with it, and carries out those decisions. We also probably mean the person who owns the land, makes decisions, but doesn’t necessarily carry out all of them himself. We might also include the person who does all the work and carries out every decision but isn’t necessarily the one making them. There are certainly smallholders who own the land, make the choices, and do all the work, but the farmers with a little more money and more land and more processing technologies tend to belong more in the “owner” category and less in the “carrier out of farm tasks” category. That particular producer subset of small-but-not-tiny, modest-but-advanced-enough-to-produce-super-high-quality-coffee farmers are becoming a new species of farmers, celebrities whose names are dropped at cupping auctions and in tales of sourcing trips. This Direct Trade era has become the age of the celebrity farmer, a role consumers have essentially created out of expectation and the industry has supplied a few choice candidates to fill. The celebrity farmer is the rare individual who embodies all of our most fantastical ideal of farming. Celebrity farmers have names that appear over and over again on micro roastery menus and specialty importer offering lists. They really do all the jobs they say they do, but celebrity farmers run the risk of waxing dangerously close to becoming talking showpieces used to promote someone else’s agenda, like a Shakespearian trained actor cornered into shooting a toothpaste commercial. Almost akin to a bunch of real Juan Valdezes these celebrity farmers have to represent lots of people who are similar to them but not the same. We are conditioned to see celebrity farmers as representatives, but they are icebergs of the vast diversity of people who farm coffee, the majority of whom we might not even consider farmers according to our romantic definition. When farmers from the rest of the iceberg show up places where we usually only see handpicked celebrity representatives from the iceberg tip, it can be confusing. Trade shows have traditionally been the domain of suited legions of businessmen, people whose day-to-day involves paperwork and spreadsheets and not soil and sticky coffee pulp. These middlemen make their livings by providing the logistics necessary to connect buyers and sellers. Part of their job is to represent the coffees they sell to their clients, and sometimes they invite celebrity farmers along to augment that representation. But, suddenly, more and more non-celebrity farmers are making their ways to trade shows to represent themselves. This often results in unspoken tension. Why? Are middlemen doing something shady that they don’t want farmers to talk about? Are farmers unaware that they could unwittingly say things that could actually hurt their chances of finding buyers? I think it’s something slightly harder to pin down. The definition of a middleman is someone who buys something from one party and resells it to another. Intermediaries inherently act as funnels, conveying things from one owner to the next. As funnels, they have to seamlessly attach themselves to two different groups, those they buy from and those they sell to. Operating on two fronts carries double the risk and requires a delicate balance that depends on price negotiations and careful hedging. In the world of coffee, “middlemen” typically refers to importers, exporters, and brokers. Roasters are also middlemen of sorts because they buy green coffee and then sell roasted coffee, either to end cafe consumers or to wholesale clients, but they are also artisans who drastically transform the product before resale. Importers and exporters are the purest of middlemen in that they don’t transform the goods they buy and sell; they just repackage them. That makes the information they package along with the goods and the way in which they curate a given selection of goods crucial to their business. My interpretation of the sometimes tension between middlemen and farmers at trade shows is not that farmers are unwelcome in middlemen’s business domain or that intermediaries are afraid producers will expose some secret, it’s just that, as managers of goods, middlemen depend on the ability to manage the information attached to those goods. Now, with farmers and roasters and café owners and baristas mixing and mingling left and right, there are lots of chances for misinformation to be exchanged, misinformation that could make middlemen’s jobs very difficult. 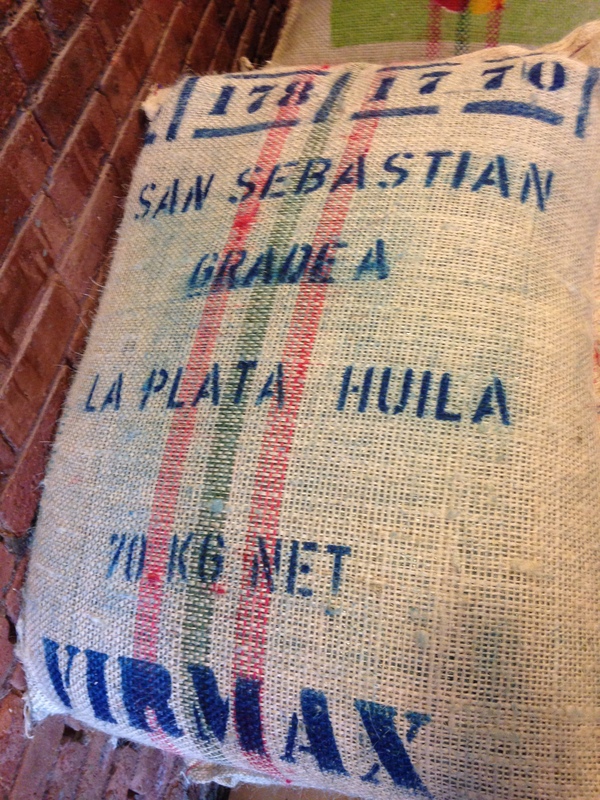 (For example, a roaster could offhandedly tell a farmer that they always pay a premium for good Natural coffees. That producer could then run to the exporter they sell to and say, “You told me you couldn’t get me a good price for my Natural coffee and now I hear people pay more for Naturals! You lied!” What the roaster maybe forgot to mention could be that the Naturals they paid a premium for are high-grown East Africans, and a producer from Sumatra with low altitude Natural coffee would have a very different product that wouldn’t sell for any premium.) Sometimes incomplete information is worse than no information. Or, maybe middlemen are hiding all kinds of wrongful stuff and are shaking in their boots out of guilt after all. I don’t know. But I do know what it’s like to be a middleman. Teachers are the primest examples of information dealers, funneling agendas from the state down to students (good teachers acting like roasters and transforming the information before sharing it). Teachers hate it when administrators just show up in the classroom and demand of students, “What are you working on right now? What have you learned? What does this and that mean?” It’s not that we have anything to hide, but the contextless sound bytes students offer on the spot have as little to do with the actual shape of our classroom operations as a three minute conversation in a convention hall has to do with the three years it takes for a coffee tree to bear fruit. I empathize with producers because I know too many examples of farmers—celebrity or not—being shortchanged by middlemen, farmers who could have benefitted from more information and better communication with end buyers. But I also empathize with middlemen. I know what it’s like to be a two-sided funnel, on one side talking the talk of bureaucracy and on the other side translating to the language of reality. The best way, I’ve found, to relieve this tension before it turns to animosity is, as a funnel, to turn encourage all sides to remember that understanding should come before reactions. As trade gets more direct, people might hear and say things that sound alarming or confusing. Before getting angry and accusing the closest person (which will always be the teacher/trader/funnel-in-the-middle, hence the risk-intensity of the position), it’s important to remember that there is probably a decent explanation that is only one conversation away.